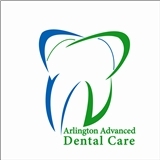 Arlington Advanced Dental Care (Arlington) - Book Appointment Online! I didn't have to wait at all. The office was nice and clean. The receptionist(s) was/were great with scheduling, explaining insurance, etc.